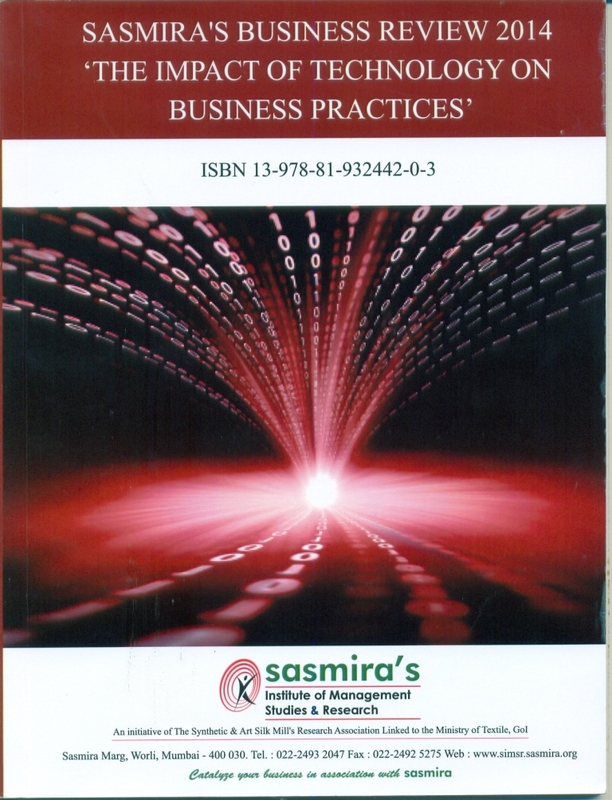 SASMIRA's Business Review (SBR) bearing ISBN number, is our annual publication on topical management themes which aims at contributing to the Indian corporate management with particular reference to management issues, trends and practices. The broad aim of the SBR is to provide platform for the academicians, business professionals and governments officials from all over the world to shares their ideas, opinions and research on applying global best practices in business and management. 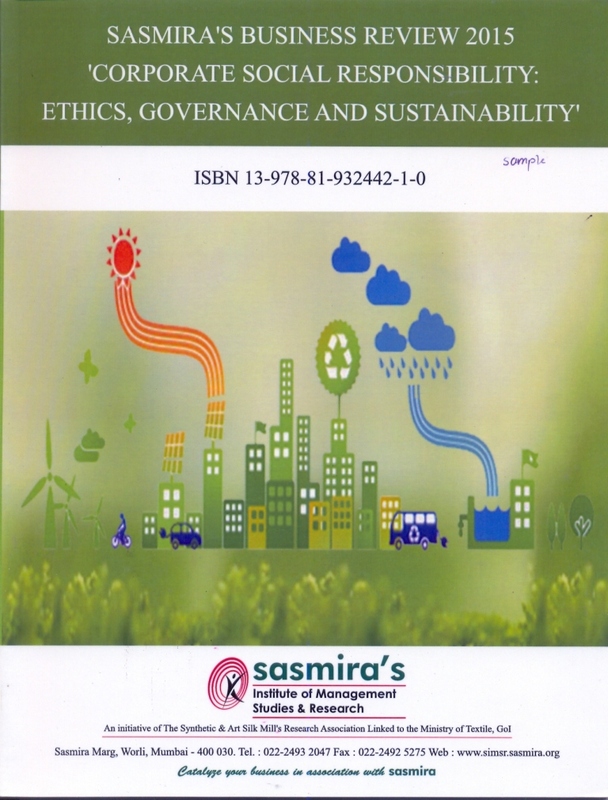 At SIMSR maintain a rigorous policy of publishing quality research papers of original nature and encourage research papers which particularly explore new theoretical perspectives, build up fresh conceptual frameworks with empirical evidence in the relatively underexplored areas. 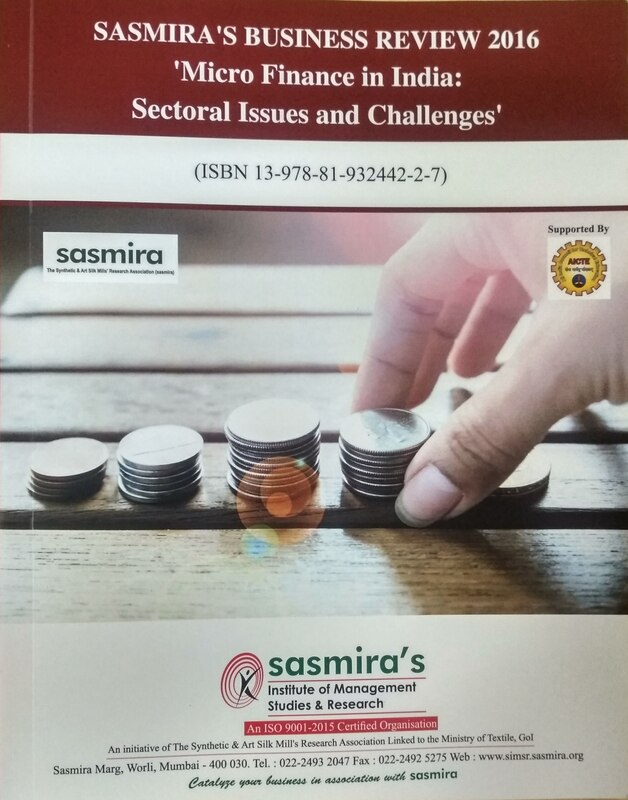 SASMIRA's Institute of Management Studies and Research takes great privilege to invite scholars and professionals to submit their research papers and articles for Sasmira's Business Review 2019 on the theme �Microfinance In India: Issues and Challenges'.  Uncertainty regarding the lending to economically weaker section of society.  Various sources of credit information in India, but none of these focuses on small, rural borrowers. 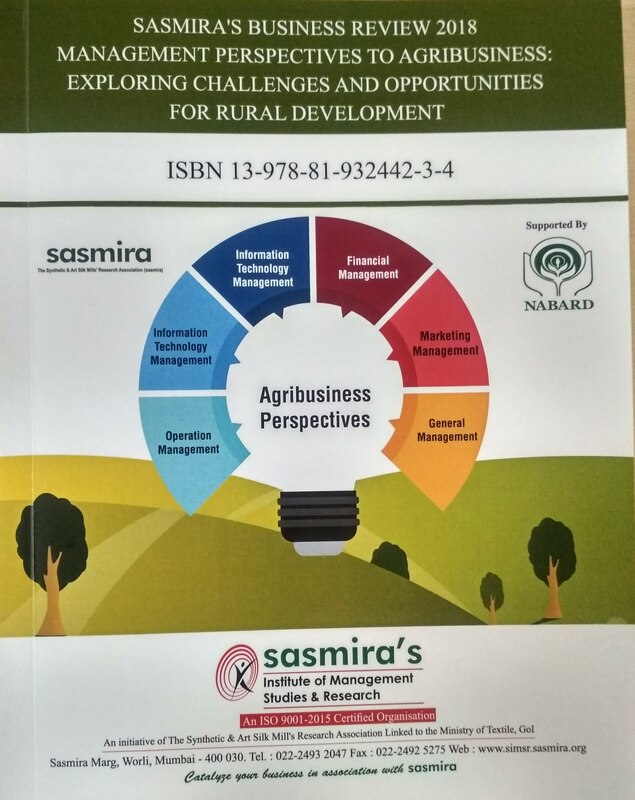  Need to develop and enforce a legal and regulatory framework conducive to rural finance.  Very high interest rates.  Low outreach of MFI as compared with its requirement and potential.  Low level of education of the clients which creates a problem in the growth and expansion of the organization.  Gap in Demand and Supply of Microfinance.  MFI fails to serve the real purpose of Micro-credit as funds raised through microfinance are majorly utilized for household expenditure and not for productive purpose.  More attention to the rural areas whereas urban poor is neglected largely. Against this backdrop, we cordially invite researchers from academia, industries and teaching fraternity to submit their research papers to explore various perspectives on the role of Microfinance and related issues ranging from theoretical to practical orientation, from Indian to global perspectives and from the micro-level to macro-level angle. We welcome paper submissions from all disciplines on topics including but not limited to Microfinance in India.  Intimation of Acceptance of Paper for Publication: Within 20 days of receipt of the research paper /article. The authors are hereby invited to submit original research papers or original theoretical articles with academic depth. Submitted papers should make clear relevance to business management practices and academic significance. We also welcome joint papers by academics and practitioners. Full papers invited to be considered for publication in the journal should be between 3,000 and 5,000 words and should follow the editorial guidelines. All articles should be submitted through soft copy to Dr. Sanskruti Kadam, Editor at sanskrutikadam@simsr.edu.in on or before 30th November 2016. Submitted papers will undergo a double-blind review process and will be evaluated by at least by two reviewers and issue editor. Final acceptance is contingent on the review team's judgments of the paper's contribution on four key dimensions i.e. theoretical contribution, empirical contribution, practical contribution and contribution to the theme of SBR issue. Decision of the editorial committee will be communicated to the author within 20 days of receipt of the research paper /article. 3. Size: Recommended length of the article up 3,000 to 5,000 words excluding references and abstract. 4. Format, Length & Style: Paper Title: Capital letter with 14pt font size and Times New Roman Font. The manuscript should be submitted in MS Word document, using Times New Roman font, with 1.5 spacing and 12pt font size for full text, all main and subheadings. Heading and sub- heading in bold. Use 10 font size for footnotes. 5. Manuscript should be complied in the following order: Title page, Abstract, Keywords, Introduction, Review of Literature, Research Methodology, Data Interpretation/Analysis, Results, Conclusion, Acknowledgement (if any) and References. 6. Details of Author: A brief biographical sketch not exceeding 100 words of the author/s describing current designation and affiliation, specialization, number of books and articles published in refereed journals and membership on editorial boards and companies, address / affiliations, telephone/fax number and email addresses on the cover page of the manuscripts. 7. Undertaking: The author should mention the undertaking that the manuscript has not been published elsewhere or considered for publication by any other journal. Research article should also accompany another undertaking that the article is the original work of the author(s). 8. Tables and Figures: All tables, charts and graphs should be in black not in colour. Tables must be concise and cited consecutively using Arabic numerals in the text (Table 1, Table 2,..etc.). The title of the table should clearly indicate the nature of the contents and sufficient detail should be included in the footnote to facilitate interpretation without reference to the text. All figures must be referred to in the text and numbered with Arabic numerals in the sequence in which they are cited (Figure 1, Figure 2 etc.). Each figure must be accompanied by a legend explaining in detail the contents of the figure. Graphs and bar graphs should preferably be prepared using Microsoft Excel and submitted as Excel graph pasted in Word. Alternatively photographs can be submitted as JPEG, GIF or TIFF files. Tables, illustration, charts, figures etc. should be dually acknowledge. Source of the data need to be given below each table and figure. Keys to symbols, abbreviations, numbers or letters used in the illustrations should not be written on the illustration itself but should be clearly explained in the legend. All Tables and Figures captions and legends should be typed on a separate page. Endnotes, italics, and quotation marks should be kept to the minimum. The choice of cover art illustration will be made by the Editor. 10. Copyright: Wherever copyrighted material is used, the authors should be accurate in reproduction and obtain permission from copyright holders, if necessary. Research work published in any other journals should not be reproduced or reprinted in any form, either in full or in part, without prior written permission from the Editor/Journal authorities. 11. Review Process: Review Process: Two or more review board members will review all the contributions by following the double blind system. The review process usually takes about two to three months. Sasmira reserves the right o make editorial amendments to the final draft of the manuscripts to suit the journal requirements. Once the paper is accepted for publication, the author has to submit the undertaking and follow the registration process.